at the cruise port Kiel. No matter where your journey begins we have the the right space for your car. 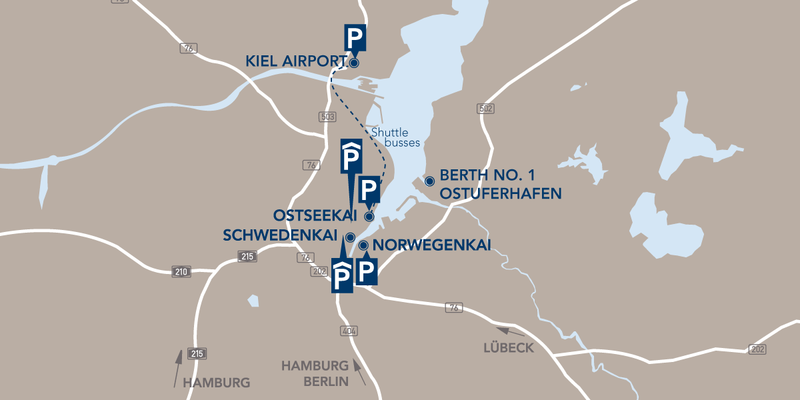 Only Port Parking offers the opportunity to park your car directly at your ship's terminal. Reserving your parking space is quick and simple! Your shipping company relies on us. You can do the same and entrust your car to us.